FOOTY can change a lot in 12 months. Adelaide midfielder Nathan van Berlo can certainly testify to that after being forced to sit out the entire 2014 season due to a nasty achilles injury. In a freak accident during pre-season training in January 2014, the then-captain was hit by a weighted training sled which cut through his heel and tendon. The 28-year-old (pictured) finally made his return to the Crows' line-up for round one this season, and has been acclimatising to not only a new coach (Phil Walsh) and new skipper (Taylor Walker), but also a new role within the team. While he relinquished his official leadership position, van Berlo has also been freed of tagging responsibilities. "When Phil Walsh came on board he outlined to the boys that we certainly need to be versatile ... that's where the game is heading at the moment," the 187-gamer told APN ahead of the Crows' clash with the Gold Coast at Metricon Stadium this afternoon. "That was the discussion I had with Phil early on, that he doesn't want to play with a run-with tagger every week. "That's an educated decision the coaches make during the week, as to whether or not it's worthwhile trying to quell the influence of a midfielder for the benefit of what we're trying to execute. "So far this year the coaches have been happy to back in our midfield ... we've got some pretty good talent in there itself." 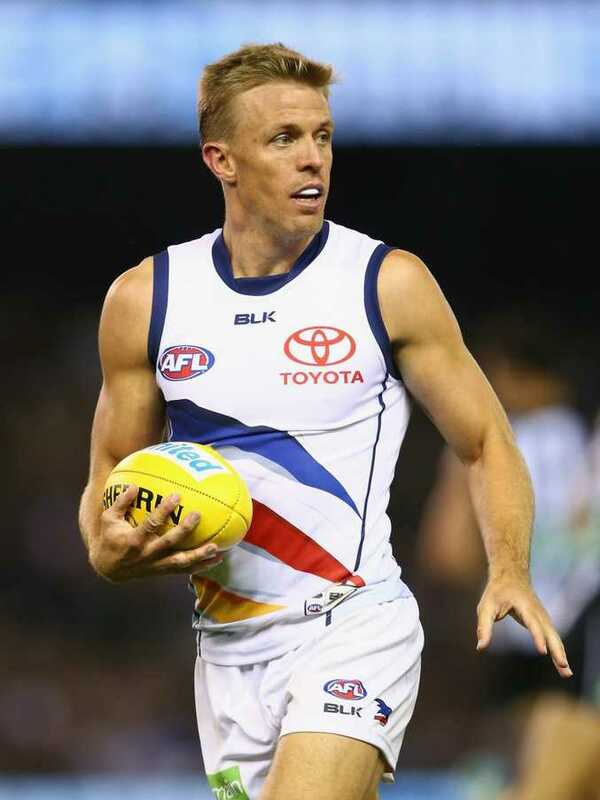 In past games between Adelaide and Gold Coast, van Berlo would have been assigned the job of running with Gary Ablett. With no Ablett in the clash between the two sides today, the Crows will keep a close eye on other Suns, but not too closely. "We recognise there is some extreme talent at Gold Coast, even though some of their higher-profile players aren't playing at the moment," he said. "(Dion) Prestia and (Michael) Rischitelli are playing some great footy." Van Berlo has played all five games this season, and holding up well. "It's certainly been an individual challenge for me over the last 12 months to get my body back ready to play AFL footy," he said. "And running back out with the boys this year, you notice the game has even changed in that 12-month period - the intensity of how the game has been played, the fitness levels we've got to get ourselves to during the pre-season. "It's never getting any easier, the game of AFL footy with the demands on players." Van Berlo said he had been enjoying playing under Walsh's coaching after the long-time assistant replaced Brenton Sanderson at the end of last year. "He's certainly laid a solid foundation for us moving forward and everyone's really clear on their expectations and what role they play within the team, which is important," he said. "It's been very pleasing to have played under Phil ... he's certainly an intense guy, and he'll certainly admit that, but he's also a very genuine and caring coach as well, which often people won't see behind closed doors." Walker has also impressed him as captain. "Tex has been really impressive over the summer pre-season and throughout the season to date," said van Berlo, who was captain for four season. "He's a strong leader ... He's certainly relishing the opportunity to lead the boys."